Maruti Y1K Micro-SUV to launch in India this festive season! The Maruti Suzuki Y1k Micro-SUV is likely to make its debut in India ahead of the festive season this year, could bring back the Zen nameplate. In order to compete with the likes of Mahindra KUV100, Maruti Suzuki will introduce its own iteration of a micro-SUV in the Indian market soon. The said vehicle will be based on the Concept Future S showcased at the 2018 Auto Expo. Speculations are high stating that this vehicle is likely to sport a ‘Zen’ nameplate and hence mark the rival of the brand in India. Maruti Suzuki had confirmed at the Expo that the production version of the Future S will make its debut in India sometime during the year 2019. 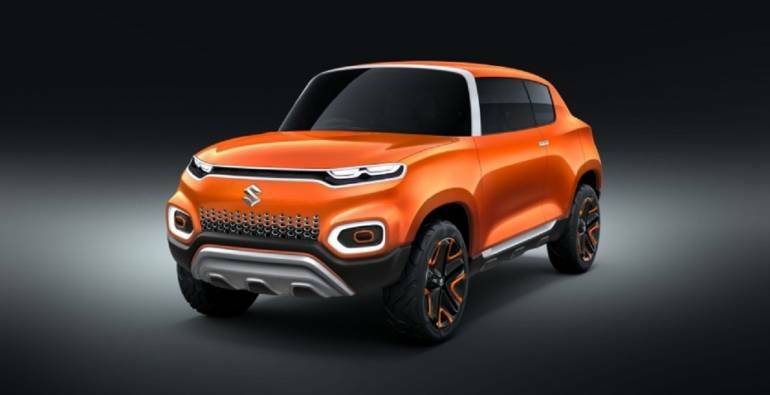 Now according to a report published in Economic Times, the launch of the Concept Future S based Micro-SUV, so far being referred to as the Y1K (codename) is going to mark its arrival in India ahead of the festive season this year. It is going to be the second out of the four new small cars launch scheduled by Maruti Suzuki for the next two years. The first of which is going to be the 2019 Maruti Wagon R set to launch in India on the 23rd of January this year. The Maruti Y1K Micro-SUV, will find its place below the Vitara Brezza in th automaker’s product portfolio. And is going to retail through its Arena dealership outlets. In order to compete with the likes of Mahindra KUV100, this new Micro-SUV is estimated to fall in-between the price range of INR 5.5-lakh to 8.5 lakh (ex-showroom). Also Read: 2019 Maruti Wagon R Interiors and Exteriors officially revealed- All You Need To Know! Though the engine specifications of the Maruti Y1K Micro SUV are not confirmed as of yet, we expect it to come with either the 1.2-litre, 4-cylinder unit or a 1.0-litre, 3-cylinder, turbocharged motor. Transmission options are likely to include a 5-speed manual gearbox along with an option of a 5-speed AMT unit. Since the launch is scheduled for the end of this year, quite close to the BS-VI emission regulation deadline, it could be that Maruti decided to launch this vehicle in BS-VI configuration. However, it may decide not to do so and launch the vehicle in BS-IV configuration in order to keep the prices competitive. This is because the comparative prices BS-VI configuration engine are going to be significantly expensive. The new Maruti Micro-SUV is going to be well-equipped vehicle both in terms of features as well as safety equipment. For instance, it likely to come with a touchscreen infotainment system, steering mounted audio control, dual airbags, ABS with EBD and rear parking sensors.